Kyoto, one of Japan’s biggest cities is situated in the middle of Honshu island. The city was destroyed many times during the centuries, but it was always rebuilt and it became a very important historical value. Kyoto, as well as Tokyo, is full of beautiful tourist attractions. Besides the most famous geisha district, Gion, the Imperial Palace, dozens of temples and several amazing gardens can be visited here. 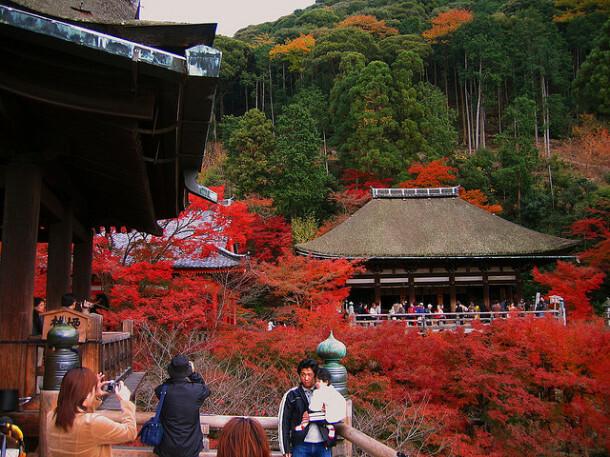 This article will present some of the most beautiful Buddhist and Zen temples of Kyoto. All these buildings worth a visit. The name of the temple means Pure Water Temple and it is one of the most wonderful temples of Kyoto. 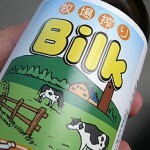 This name comes from the Otowa Waterfall, which is divided into three streams and tourists can drink from it. The water of Otowa is very clean, therefore it is drinkable. The temple was founded in 780 AD and many historical resources associate it with the Hosso sect. The wooden stage of the temple provides a breathtaking view: cherry trees and the distant city attract thousands of visitors here. 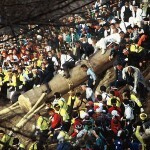 Not only the temple, but its famous rock garden also attracts hundreds of visitors. Below the main buildings of the temple there is a small pond and an beautiful park, providing a natural and breathtaking environment to the temple. A walk in this gorgeous place impresses each and every human being. Beside Ryoanji Temple we can also find a tea house and a restaurant. Every visitor unambiguously claims that the beauty of the garden is unforgettable. If you happen to be in Kyoto, don’t miss to visit this temple. Toji was founded in the Heian Period, when Kyoto was the capital of Japan. It served as the temple of the capital’s guardians. 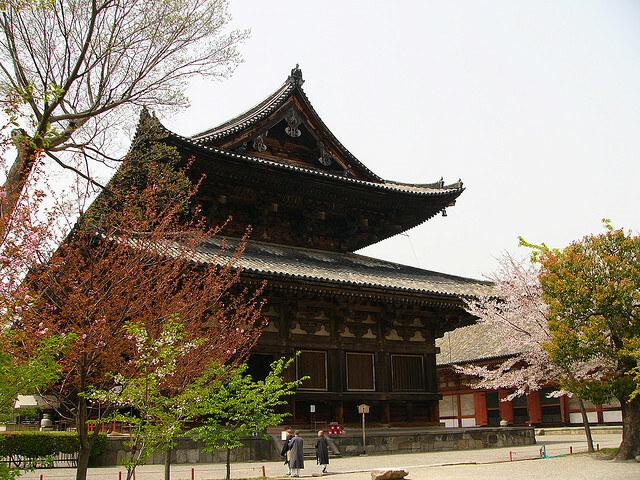 This temple consists of more buildings, the most importants are: Kondo Hall, Kodo Hall and a five-storied pagoda. Near the temple the tourists can visit the famous Homotsukan Museum. It exhibits huge Buddhist statues, but it is open only from March to May and from September to November. Toji Temple also gives home to a flea market, held on the 21st day of every month. 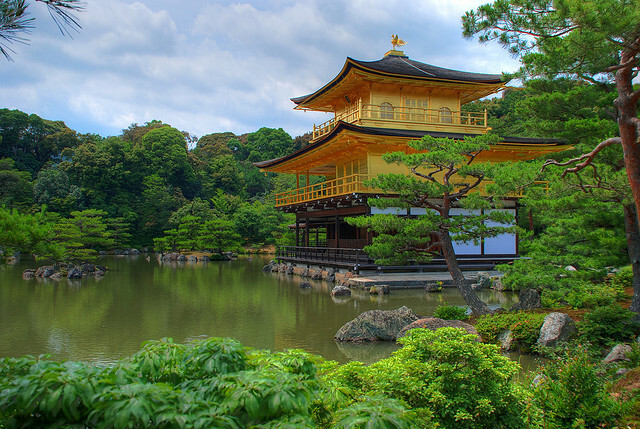 Kinkakuji is a Zen Temple and its name means Golden Pavilion. Interestingly, two of the temple’s floors are covered with gold. It overlooks on a large pond, providing a gorgeous environment. The temple has a special characteristic: each of the floors has a different style. The first floor was built in Shinden style (used in palaces during the Heian Period), the second in Bukke style (also used in samurai residences) and the uppermost third floor was built in Chinese Zen Hall style. On the top of the building there is a golden Phoenix statue. 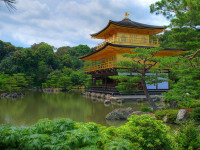 The building of Ginkakuji, or Silver Pavilion was inspired by the similarly named Kinkakuji. 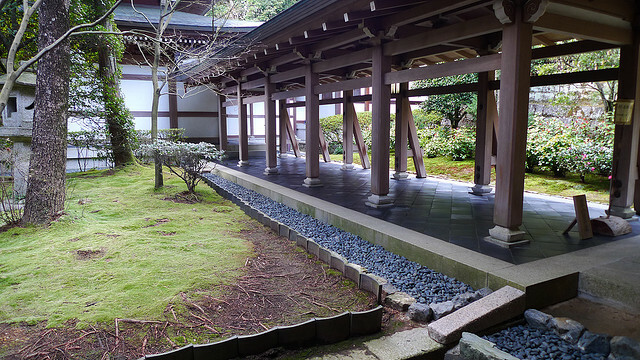 It is also a Zen Temple. It consists of several buildings, the main building is called The Silver Pavilion. The beautiful view of the temple is also provided by the moss garden around the buildings. 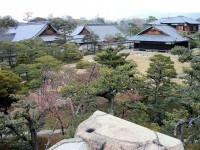 Similarly to Kinkakuji, Ginkakuji’s floors are also built in different architectural styles. 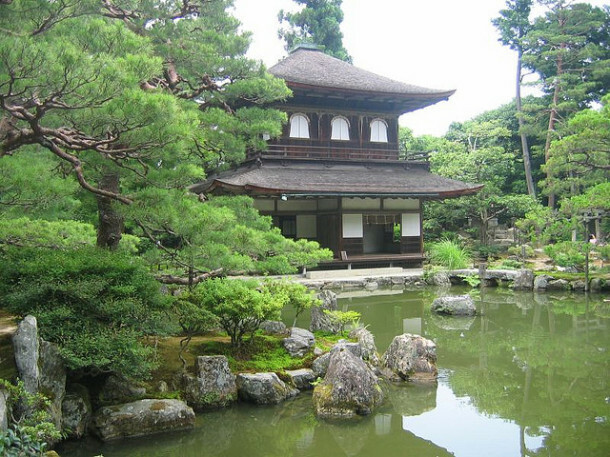 In fact, there are more differences than similarities between the two of them: Ginkakuji was never covered with silver, and the interior building of the Silver Pavilion in not open to the public.